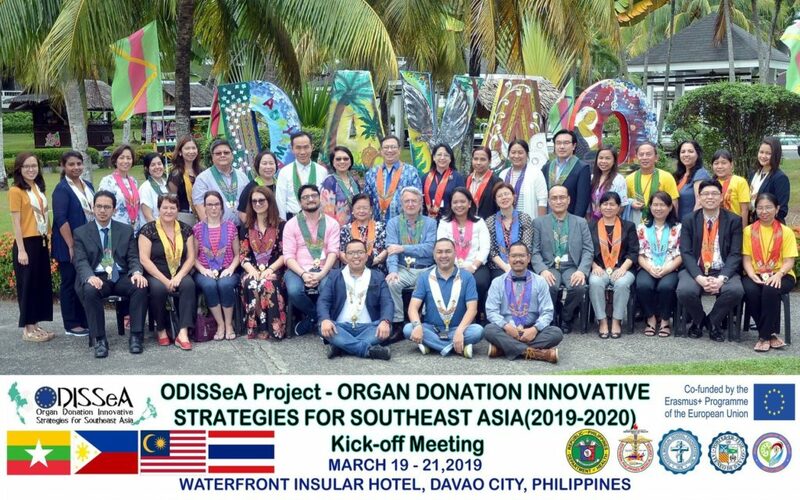 From March 19th-21st, representatives of the University of Barcelona, the University of Zagreb School of Medicine, Dinamia S. Coop and DTI Foundation (Donation and Transplantation Institute) visited Ateneo de Davao University, Philippines for the Kick-off meeting of ODISSeA Project. The main objectives, phases and actions were presented and discussed in workgroups during these three days. 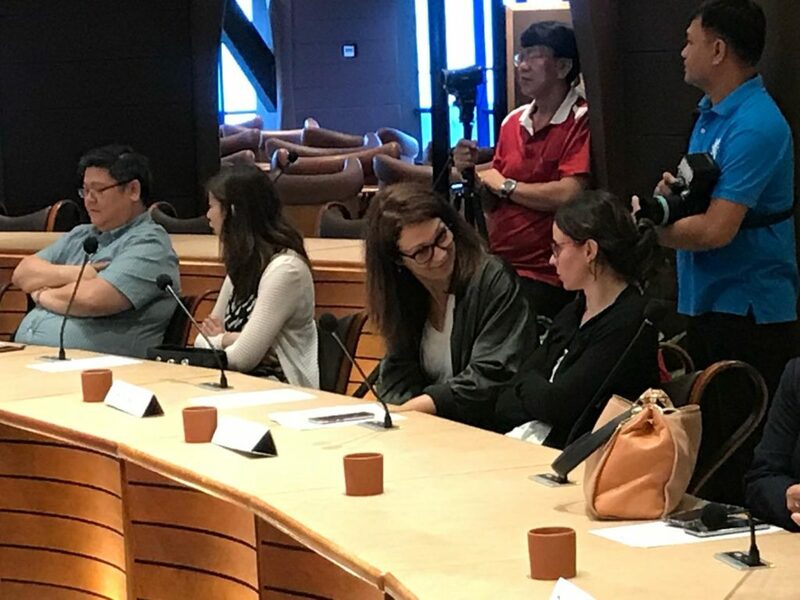 The project is originated from the need for a formal training program to train specialized healthcare professionals that will efficiently coordinate the process of organ donation in 4 Southeast Asian countries. 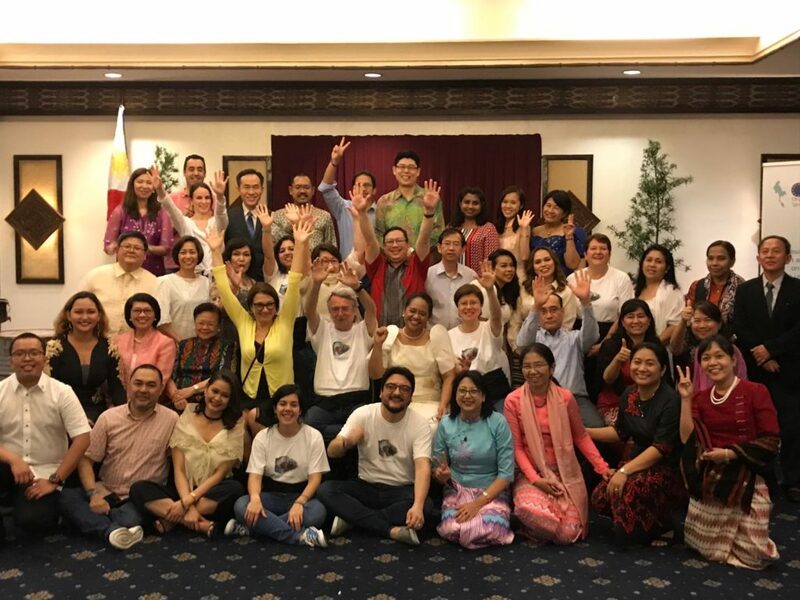 For two months, a team of 40 healthcare professionals from Malaysia, Myanmar, Philippines and Thailand, will enrol in a trainer for trainers’ course to learn how transfer the knowledge, competences and attitude needed in organ donation. 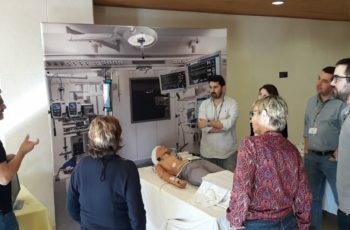 This blended training program will consist of an online and a face-to-face course to be held in Barcelona in May. 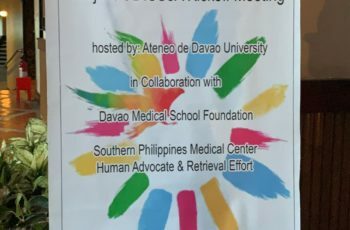 Once accomplished, they will teach as faculty to the Postgraduate students of these 8 universities so that they will be able to effectively develop organ donation in their daily activities, in their local hospitals in Southeast Asia. Asia is the most populated continent in the world. Conversely, the region has the lowest rate of organ donation and transplantation and the fastest growing rate of people entering chronic and end-stage organ failure, according to a study published by Frontiers in Medicine. Also, the evolution of dietary and environmental triggers has made the waiting list grow, while the number of available donors has remained unchanged. Consequently, there is a significant and concerning lack of organs available for those patients needing a transplant. According to the same study, despite the current situation, there is hope for the future. Treated end-stage renal diseases have increased noticeably from year 2000 to 2013 in three of the countries involved in ODISSeA: Thailand (1210%), Philippines (185%) and Malaysia (176%). However, the numbers are still low and insufficient to meet the needs. Thailand comes ahead with 4,27 donors per million of population (pmp), Malaysia has 1,10 pmp and the Philippines 0,45pmp. Thanks to initiatives like ODISSeA project, this scenario is bound to change. 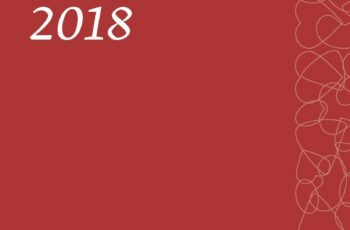 Through this project, faculty members and healthcare professionals from Philippines, Thailand, Malaysia, and Myanmar will learn and acquire the necessary knowledge and skills about the most effective donation system. After the project is implemented, a total of 320 doctors will be prepared and qualified to save lives.